To meet our demanding clients’ expectations, INGLOT participates in the most popular and prestigious cosmetic trade shows all over the world. Exhibiting and presence at a trade show is an excellent opportunity to personally meet our existing clientèle , reach out to potential customers, and listen to their specific needs. Moreover, trade shows certainly allow to consolidate a really strong, well established and undoubtedly reliable position of the brand on the market. 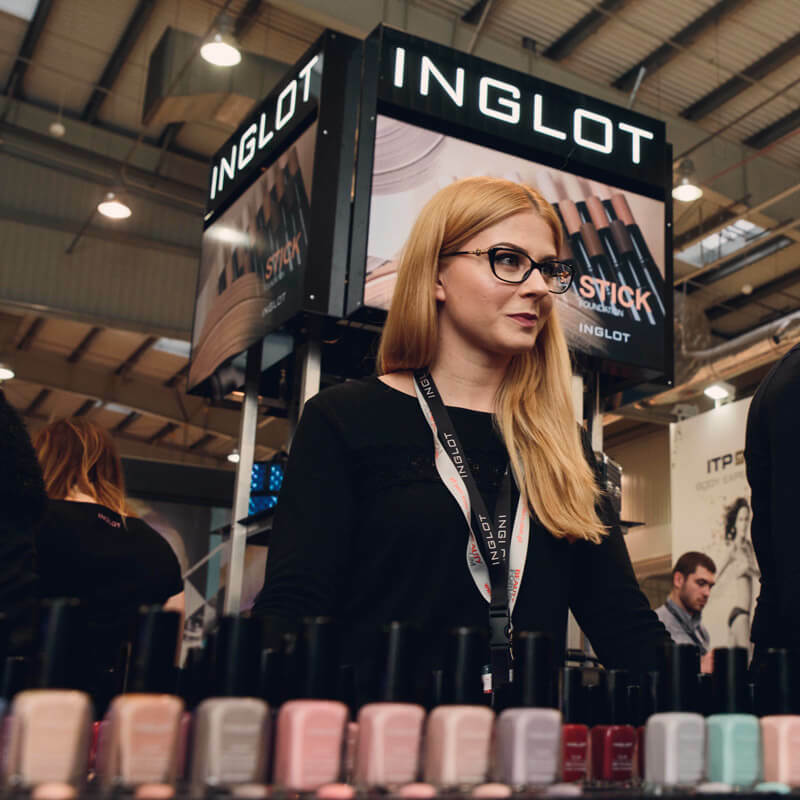 INGLOT is aware of the importance of cosmetic industry trade shows which offer a chance to explore makeup trends, tips and tricks as well as products and accessories thus the brand gladly takes part in such events. As the trade shows are targeted at one specific industry, exhibiting is a great way to create brand’s awareness.